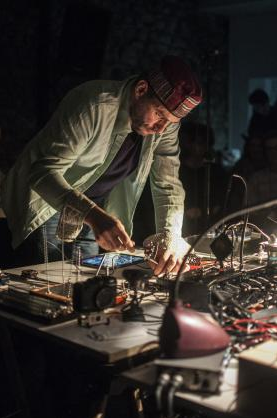 Canadian electroacoustic musician Jean-François LaPorte introduces his sculptural instruments and experimental control mechanisms during a rare Bay Area appearance in collaboration with the Center for New Music and Audio Technologies. Dense textures, rich colors, and complex polyphonies emerge from a single sound. See the BAMPFA web page for this event.